Amsterdam, 9th of October 2018. Today Fastned announces a partnership with REWE Region Mitte to install and operate fast chargers at their supermarkets. The partnership will start with a pilot at four REWE Region Mitte supermarkets around Frankfurt. The intention is to expand the partnership to additional locations. The aim of the pilot is to test the interest of EV drivers to fast charge their vehicle while shopping for groceries. From the perspective of REWE the addition of fast charging services to their supermarkets is another step to offer their customers the best shopping experience. 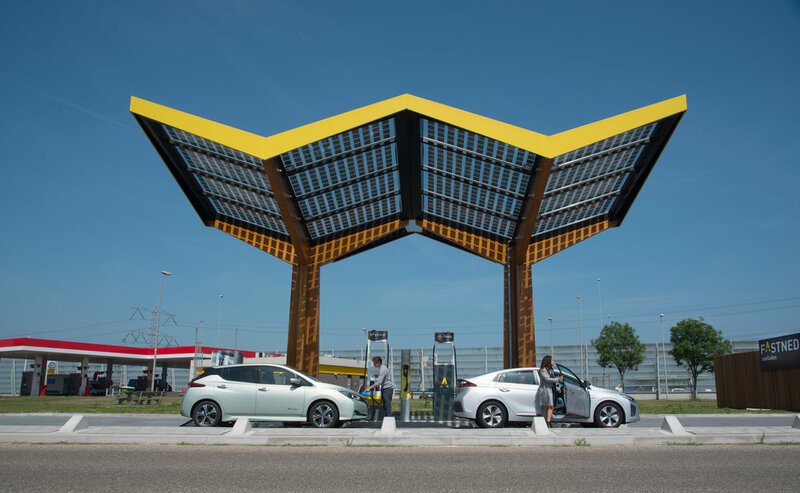 For Fastned, REWE supermarkets are a great addition to its growing network of fast charging stations. The sustainable mission of both companies is reflected by the use of wood in the station and supermarket. 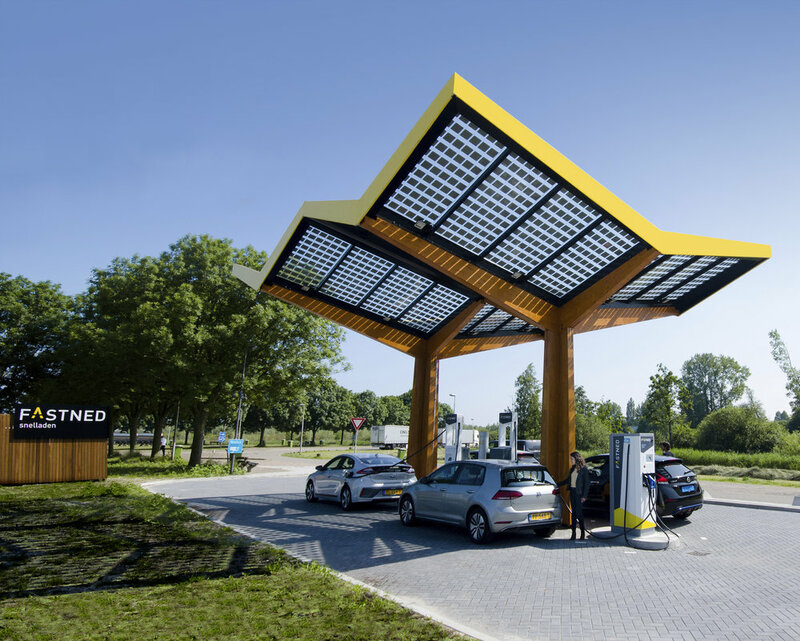 Moreover, Fastned’s stations are powered exclusively by 100% sustainable energy from local sources.